Our phone and fax number will remain the same. Our office building, as well as East Houston Regional Medical Center, was flooded during the storm. Dr.Killam is working out of Bayshore Medical Center and Patients Medical Center, if you need emergency care go to one of these hospitals and they will admit you to Dr. Killam. East Houston Physicians Group, P.A. At East Houston Physicians Group PA, our priority is to deliver quality care to informed patients in a comfortable and convenient setting. When you have health care needs, you need to turn to a doctor who listens and responds ... an experienced professional who knows the field and can effectively diagnose and treat your needs ... a friendly staff who counsels you on the best ways to maintain and improve your health. Our Houston practice meets all these criteria. Plus, you benefit from a dedicated team of trained professionals who give you the individualized attention you deserve. East Houston Physicians Group PA believes that informed patients are better prepared to make decisions regarding their health and well-being. For this reason, we’ve included all of the important details about our services and procedures on this website. The best care in the world doesn’t mean anything if you can’t access it. 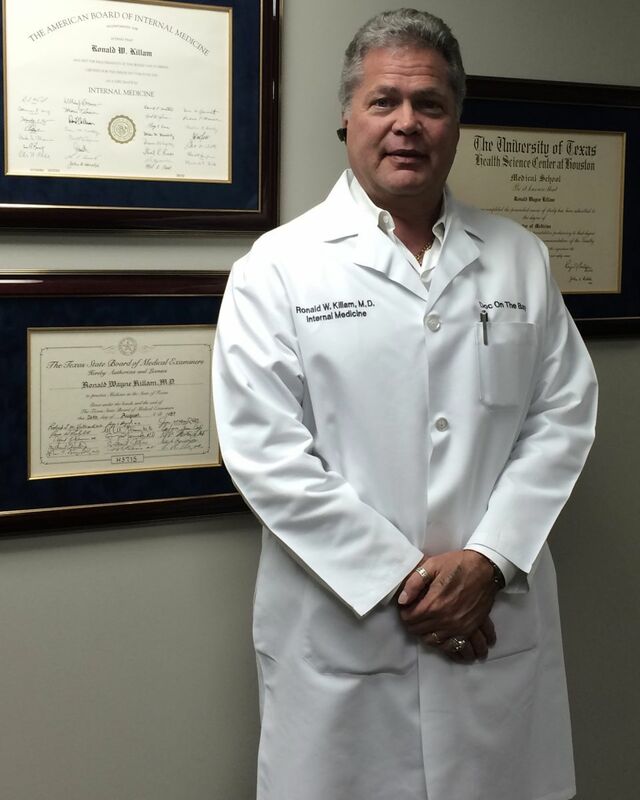 At East Houston Physicians Group PA, we strive to make our Houston office as efficient and convenient as possible. Included in these web pages is information about East Houston Physicians Group's office, including our Houston location, maps, directions, hours, insurance and appointment scheduling. You can even email a request for an appointment right here! We hope you find this website useful and invite you to contact us with your questions at any time. We look forward to caring for you. Quality time with your doctor. Read about our team, here! Designs for health is a supplement line that Dr. Killam provides. Have questions? Feel free to send us an email and our staff will get back with you promptly. Take a quick questionnaire below to let us know how we are doing. "Visiting East Houston Physicians Group PA gives my family and me more confidence in our health!"